Each $29 box contains 48 packs. Each pack contains 12 cards. The Celestial Edition 15th Anniversary set includes not only a full reprint of Celestial Edition, but also additional rares in every pack featuring cards from prior Celestial legal expansions such as Glory of the Empire. 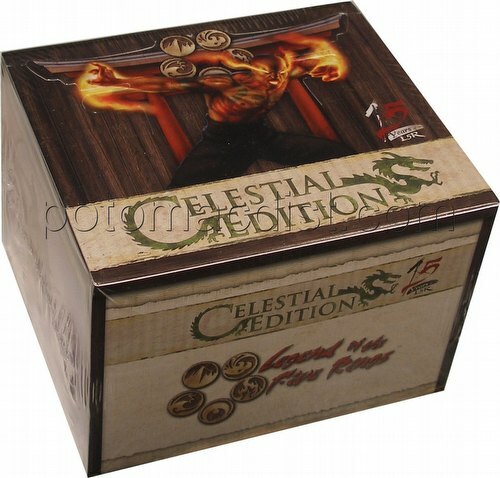 As a special tribute to the 15 years of L5R, each pack also contains a bonus flashback card, featuring a famous card of yesteryear such as "Inheritance" or "Evil Portents" in the new L5R look.